1/4 size Stentor Student 1 violin for sale. Price open to offers. 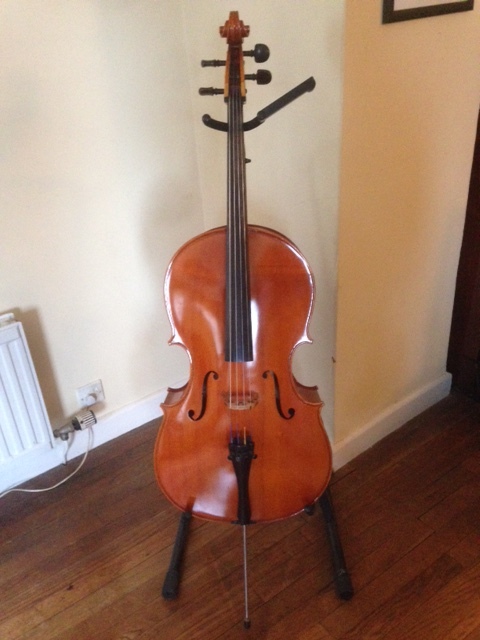 Half-size “Prima 200” cello with padded case and Primavera bow. Refitted (including new bridge, and Prelude strings) by Dransfield Violins, Liskeard. This album has 4 photos and will be available on OneDrive until 25/05/2015. 1/2 size violin for sale.